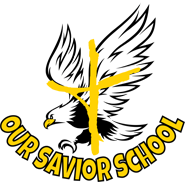 OSS has a Tuition Assistance Program available. The Tuition Assistance Application window closes April 5, 2019. Financial aid may be awarded to students unable to meet tuition requirements and who meet the criteria of the tuition assistance program. This is done through TADS (Tuition Assistance Data Service). TADS will provide financial need evaluation services that offer maximum benefit to the student and families. Parents must apply for tuition assistance annually. Aid will be divided among candidates who qualify based on the availability of funds and/or annual contributions. Emergency requests may be submitted and are subject to the program requirements and will be reviewed by the Education Committee before approval is granted.